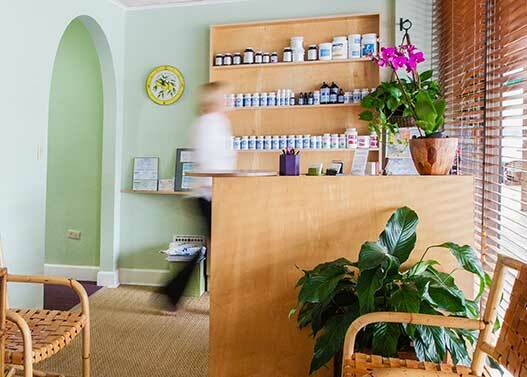 I opened my practice in this location in 1999 after completing a four year program in Chinese Medicine at the Community School Of Traditional Chinese Healthcare in North Miami. Since then, my primary goal is to work with my patients to resolve their health issues and imbalances as efficiently as possible, whether it be a recent or longstanding disorder of pain, reproductive / gyn issue, menopause, anxiety / depression, digestive or the many other health challenges that can be helped with acupuncture. My goal is always to help support your natural ability to produce and regulate hormone balance through all phases of life. Microcurrent is an electronically-assisted approach to revitalizing and restoring the healthy function of dermal, muscular, and lymphatic metabolism, and is excellent for pre and post facial surgery. Thank you so much for having a heart to help people. You have made a life changing experience to no pain. See you soon. Thank you for sharing your knowledge, helping Isabel and healing all of us! Thank you for all your help, healing and kind spirit… it’s great living without physical pain. The pain was excruciating. After a second sleepless night I decided to call Clark Acupuncture at 305-981-7958 to make an appointment. Nancy Clark gave me a treatment and I felt less pain. The second treatment allowed me some sleep and much less pain. After the third time I was pain free and felt human again. The treatments at the Clark Acupuncture Center worked wonders for me so I urge anyone experiencing pain to give Nancy Clark a call and get a treatment that actually treats! Thanks for sharing your immense wisdom during my identity crisis. I’m a 71 year old ex-jock with aches and pains which come with the territory. A friend reccommended Clark Acupuncture Center. I was a hollistic skeptic. No more. Besides being so knowledgeable in natural pain management, Nancy Clark has a wonderful way about her. She explained her methodology in terms I could understand. There is also a gentleness, a simpatico about Nancy. In her office you have such confidence that she is focused on your particular situation. I could go on, but in short I’m back on the tennis court unemcumbered because of Nancy Clark. Thank you so much for all that you’ve done to improve my life. Nancy has been instrumental in my recovery from race car and motorcycle accidents that conventional treatments and medications only masked and facilitated partial recovery. I no longer have this horrible pain in my knee that would haunt me at night and can take the stairs now instead of always the elevator. I feel that with her style of acupuncture combined with her nutritional and supplement recommendations, I not only can go for walks again but have renewed energy and strength. I love the soothing atmosphere and have never had to wait for my treatments. I’d been suffering from episodes of back pain & sciatica for 6 years since I gave birth. One weekend in May 2016 it was very bad. I knew Nancy from the micro-current facials I’d been having at her office with Claudia, her aesthetician. Never having experienced acupuncture, I was skeptical. After the May episode of back pain / sciatica I decided to try it. It was amazing ! My pain cleared about 80% after the 1st session, then completely after the 2nd. Four months later it still it has not returned. I’ve had follow up treatments for other issues and it’s been very effective. Nancy is a true healer ! She’s given me nutritional advice I was also skeptical of, but has turned out to serve me very well. I highly recommend her. She shares freely her knowledgable of how to live healthy which has helped me more than I ‘d imagined. I also highly recommend the micro current facials ! I definitely notice a difference and they feel wonderful!